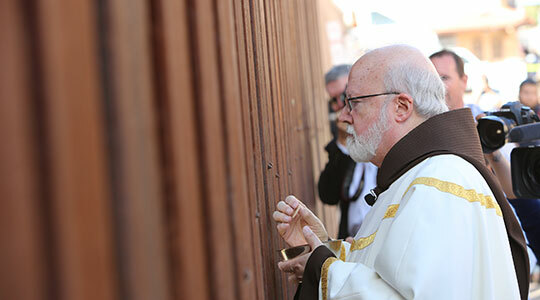 Summary of today’s show: Cardinal Seán and 7 bishops traveled to Nogales, Arizona, on Tuesday, to the US-Mexico border to celebrate Mass for all the immigrants who have died coming to the US and to call attention to the need for immigration reform. Scot Landry and Fr. Chris O’Connor discuss Cardinal Seán’s homily at the Mass and the way in which the cardinal is emulating Pope Francis’ similar journey to the island of Lampedusa, Italy. They also discuss the new movie “Noah”. We must be vigilant that that lamp continues to burn brightly. Who is the neighbor? The one that treated the man with compassion. He tells us to go and do likewise.